Making weight in the UFC is a brutal business. Many fighters train at a dozen or so pounds heavier than their fighting weight, then try to drop all their excess weight in the day or so before a weigh-in via severe dehydration. 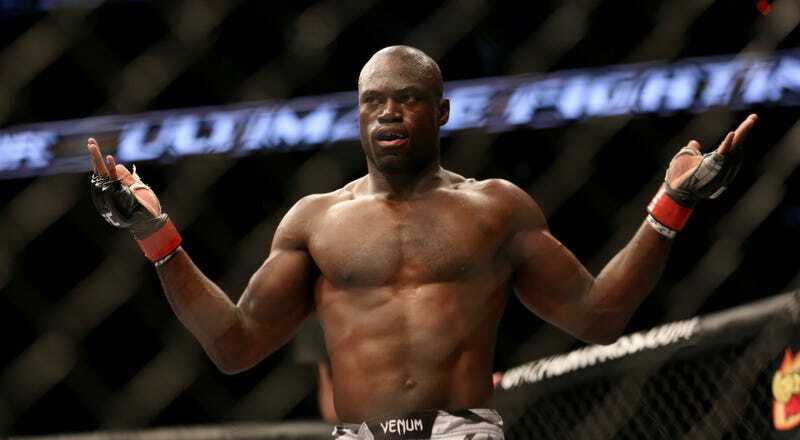 Middleweight contender Uriah Hall had to scrap his co-headlining bout with Vitor Belfort last weekend after he ended up in the hospital for trying to do just that. Today he revealed exactly how bad it was. Dana White accused Hall of partying in Los Angeles a week before the fight and not taking his training seriously, but Hall said on an Instagram live broadcast that he had kidney problems, and suffered a “mini-seizure” and “slight heart attack.” His doctor apparently told him that even if he’d made weight, he might have died the next day. Hall’s almost back to normal now, thanks in part to “some Dragonball-Z clips” from Demetrious Johnson, but he’s far from the only UFC fighter to face serious health issues from a weight cut. Kevin Lee dropped 19 pounds in 24 hours while battling a staph infection, which he said “damn near killed me.” When Lee stepped on the scale before UFC 216, he looked like a hollowed out shell of a man, and he still needed an extra pound shaved off. Khabib Nurmagomedov was hospitalized and said he almost died while cutting weight before UFC 209. This issue isn’t going away, but it can be dealt with more effectively. The California State Athletic Commission passed a plan last year that called for stricter doctor monitoring, harsher penalties for missing weight (theoretically deincentivizing last-minute cuts), and the adoption of a few new weight classes to allow fighters more options to fight at their optimal weights. Lee himself endorsed the creation of 165 and 175-pound divisions, and though the UFC currently has no plans to adopt such classes, there’s a lot of sense in it, if only because it would make for fewer fighters risking death just to make weight.